Provide environmental educational training for preservice and inservice teachers on a local and regional level. Coordinate regional services with other institutions of higher learning. Conduct and evaluate research in environmental education, and assist the community in understanding environmental issues. 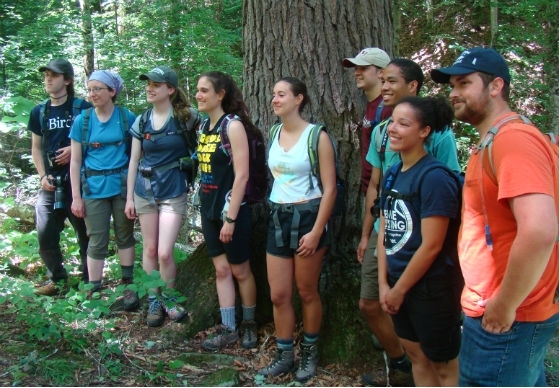 Each year, the Center for Environmental Education (CEE) offers preservice and inservice teacher training and professional development workshops. 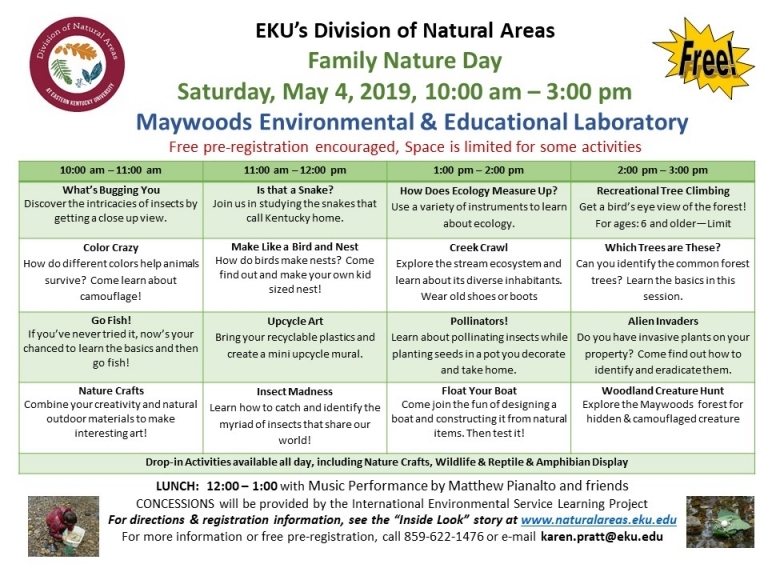 Also, in conjunction with the College of Education and the College of Science at EKU, the CEE supports course work leading to an environmental education endorsement for K-12 teachers. This endorsement program has been accredited by the North American Association for Environmental Education (NAAEE). NAAEE Accreditation: Distinguished College and University Programs formally recognizes high quality college and university programs that consistently prepare well-qualified environmental educators. A panel of nationally recognized environmental education experts conducted the Accreditation process, which involves a rigorous review of program design and implementation, including assessment data. In addition, EKU's environmental education endorsement is nationally recognized by the National Council for the Accreditation of Teacher Education (NCATE) and is one of only two nationally recognized environmental educational programs in the country. 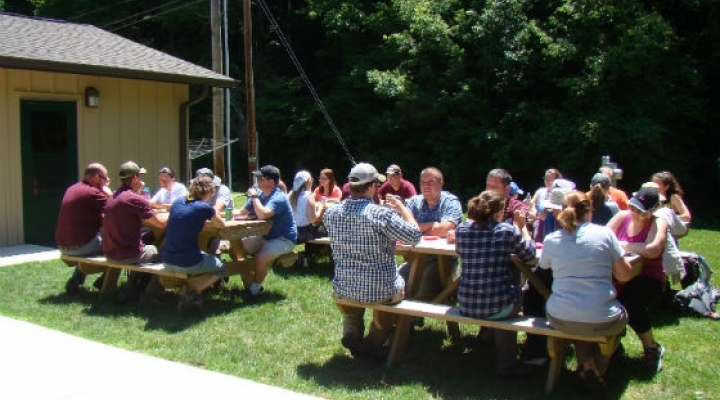 In addition to providing trainings and workshops, the CEE is an active member of Kentucky University Partnership for Environmental Education. KUPEE is a collaboration of the eight State Universities' Centers for Environmental Education dedicated to increasing the environmental literacy of all the citizens of the Commonwealth through environmental education.